Non-invasive, selective CO2 package measurement using laser-based technology, which means no contact with measured medium and no wasted product. Founded by Rob Tod in 1995, Allagash began as a one-man operation with a vision to bring unique Belgian style beers to the growing craft movement in the United States. The first release was Allagash White, which remains the brewery’s flagship brand today, modeled after the traditional white beers of Belgium. In 2001, Allagash delved into the world of cork and cage finished beers and bottle conditioning, a process of adding sugar and yeast, just prior to bottling, to allow for natural carbonation of the beer. The resulting beer is softer and more complex than traditionally carbonated beers. Since oxygen (O2) inside the package is consumed by yeast during the process, bottle conditioning can also help to maintain quality and increase shelf life. Bottle conditioning is a difficult practice to perfect. 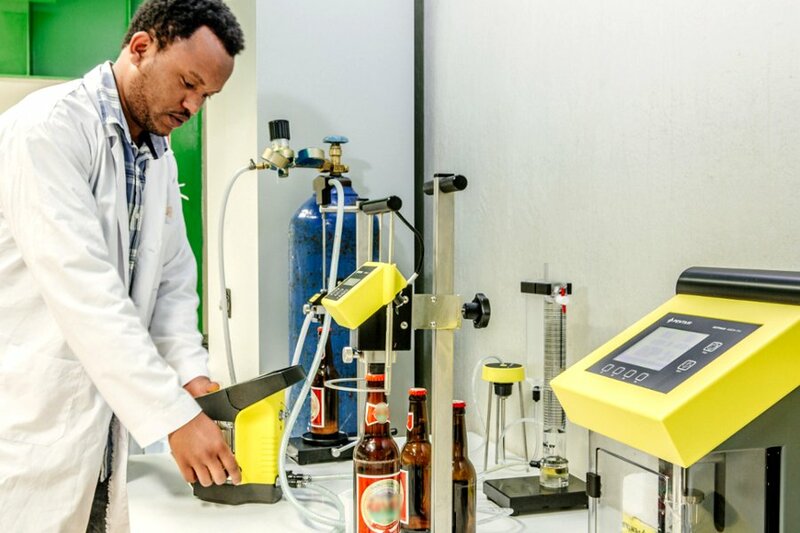 Achieving just the right level of carbonation depends on many factors including sugar quantity and source, yeast strain and health, the properties of the beer itself, and how the beer is treated after packaging. Even if just one variable is off, the product can become unsellable due to lower or higher than desirable carbonation levels. If the carbonation is too low, the quality of the beer can be compromised. If the carbonation is too high, the product can become a safety hazard due to threat of package explosions. As such, carbonation testing and tracking throughout the re-fermentation process is extremely critical and must be accurate. To improve the ease and efficiency of carbonation testing and tracking for its many bottle-conditioned beers, Allagash Brewing Company trialed the Haffman’s CO2-Selector. Prior to trialing the Haffman’s CO2-Selector, the Allagash quality team measured all carbonation levels in bottles using a method that involved piercing and shaking bottles with a specialized instrument to obtain equilibrium pressure and temperature data that was then converted to carbon dioxide (CO2) volumes through use of a published reference table. 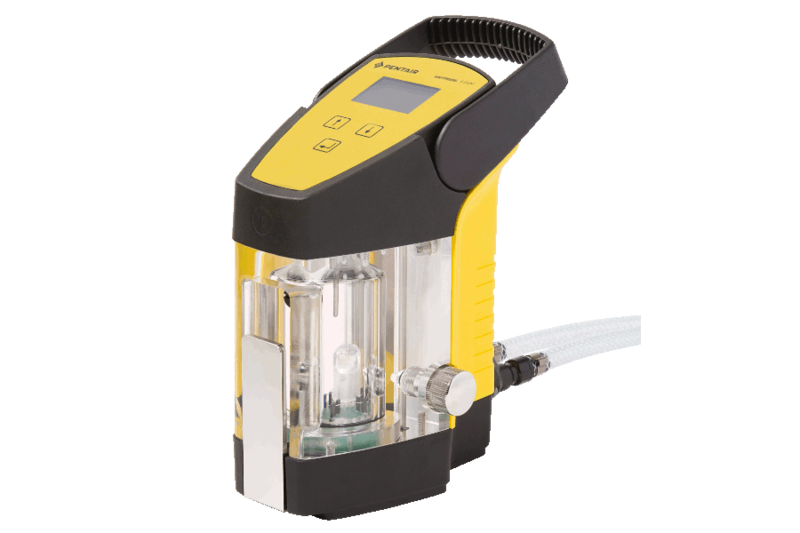 As such, a non-invasive, quick and repeatable alternative method, such as that offered by the Haffman’s CO2-Selector, is very attractive to us.” Upon using the CO2-Selector, quality technicians quickly confirmed its many desirable qualities. The Allagash quality team found that the variability in readings between the CO2-Selector and the shaking method were equivalent for the company’s three different packaging styles. Plus, due to the high selectivity of the laser technology, Allagash’s quality team was confident that readings from the CO2-Selector were a measurement of only CO2 in solution and not a combination of all packaged gases that contribute to internal bottle pressure. 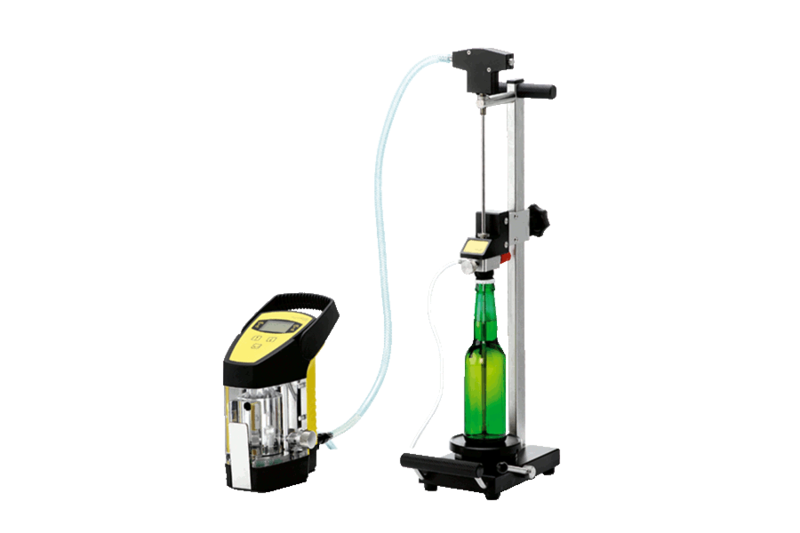 The CO2-Selector has become a great supplement to Allagash’s routine carbonation testing procedures. The non-invasive nature of the CO2-Selector means less product loss, material waste and costly maintenance repairs. Allagash now has the ability to frequently, efficiently and confidently monitor bottle conditioning with the Haffman’s CO2-Selector, which contributes to Allagash’s mission of providing customers with a traditional Belgian beer experience that is safe and that meets Allagash’s high quality standards. 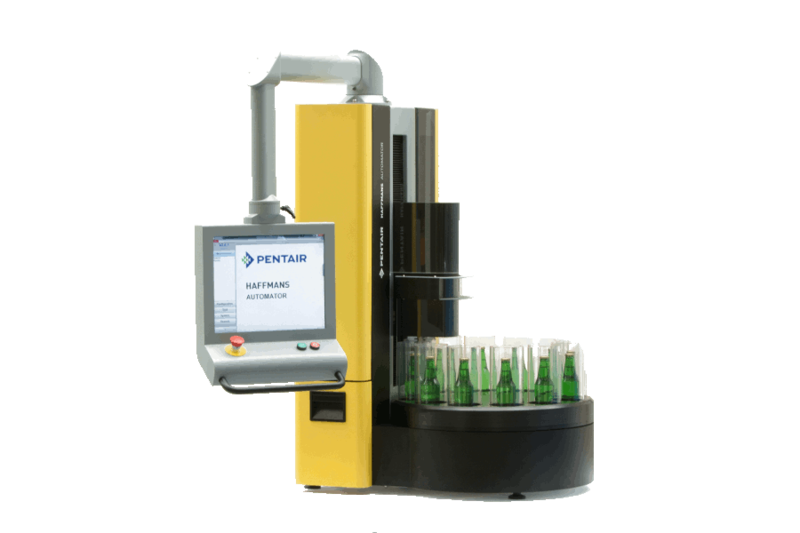 Automatically measuring all relevant quality parameters directly in the filled package in a single measurement cycle.